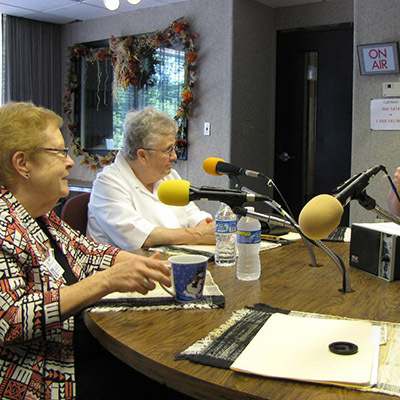 Communicators for Women Religious this year celebrates its 25th anniversary and will commemorate a quarter century of working to advance the mission of Catholic Sisters throughout 2019, culminating with CWR’s annual conference in October. CWR was founded as the National Communicators Network for Women Religious in November 1994 and adopted its current name in 2013 in response to the organization’s growth internationally. CWR will share the celebration of its anniversary through a social media campaign that will be highlighted by milestones, memories, testimonials and congratulatory messages. In addition, the social media campaign will see CWR distribute “Join the Celebration” 25th anniversary placards to its members, friends and supporters across the globe. Placard recipients are encouraged to post photos of themselves holding their placards in whatever locale they might find themselves along with the hashtag #CWR25. The 25th anniversary social media campaign launches today—the 25th day of the month—and will continue for the rest of year. CWR can be found on Twitter at www.twitter.com/C4WRtweets, on Facebook at www.facebook.com/c4wr.org/ and on Instagram at www.instagram.com/c4wr5401/. A special twenty-fifth anniversary logo has also been introduced. The anniversary logo combines silver text with the standard blue and berry CWR logo in both full and simplified variations. CWR’s 25th anniversary conference will be held October 1-4 in Mesa, Arizona. Since CWR’s founding in 1994, the annual conference has drawn communicators from around the globe to share ideas, spread awareness of emerging communication trends and support one another in the ministry of communication. At this year’s conference, CWR members and collaborators will welcome Joan D. Chittister, O.S.B., an internationally known speaker and writer on spirituality and social justice who will deliver the event’s keynote address. Further information on the conference can be found at www.c4wr.org/conference/conference_2019/.